Theodor Seuss Geisel, under the pen name of Dr. Seuss, wrote and illustrated 46 children’s books that have become all-time favorites of children around the world. His collective works feature plenty of rhyme and metered verse, vivid pictures, memorable characters and a little nonsense mixed in. Kids have been learning to read from Dr. Seuss for decades, and his books are still popular today. March 2 marks Dr. Seuss’s birthday and National Read Across America Day, along with the release of the new movie based on his classic tale, The Lorax. 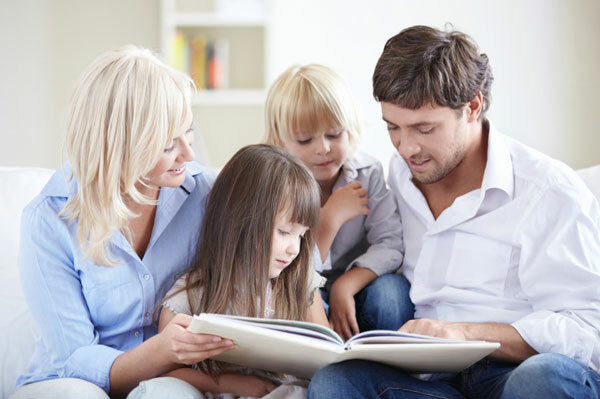 Celebrate by reading the The Lorax or one of these top Dr. Seuss books with your child. In this book, we were first introduced to “The Cat.” Who can forget the chaos that ensued when The Cat (and his pals Thing One and Thing Two) stop by to visit two children while their mother is out. Sam and his unnamed pal are polar opposites. Sam is excitable and enthusiastic, while the other character is just grumpy. 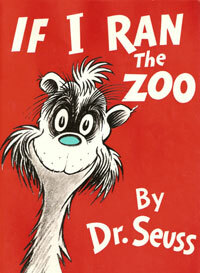 The plot of this fun Dr. Seuss book revolves around Sam trying to get his friend to eat green eggs and ham. This book teaches a great lesson to kids about trying something new — you never know, you might like it. Horton the Elephant hears a small speck of dust talking to him. However, it’s not just an ordinary speck of dust, it’s really a tiny planet where the inhabitants — the Whos — live in the town of Whoville. Perfect for new readers, this book uses simple rhyming words such as hop and pop, pup and up, etc. 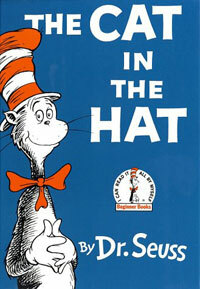 The illustrations in this Dr. Seuss classic will certainly keep your little ones engaged. The Sneetches are yellow creatures who live at the beach. Some Sneetches have a star on their belly, while others do not. The Sneetches with the stars are the cool ones that are part of the in-crowd, while the ones without stars are shunned. In the end of the book, the Sneetches realize the stars don’t make them superior, and they all become friends. This book is an allegorical tale about discrimination and accepting each other’s differences. The lesson of the book is obvious — don’t feel sorry for yourself, you are better off than you think you are. In this Dr. Seuss story, an old man tells a young boy about other people’s misfortunes and the boy realizes that he’s actually lucky. Like Hop on Pop, this is a simple rhyming book for young children. It features a boy and girl along with all their fun friends and pets. This Dr. Seuss books is written in prose, rather than the rhyming metered verse that we have grown to love from the author. However, the different style doesn’t take away from this story of young Bartholomew Cubbins, his 500 hats and King Derwin. It doesn’t have to be Christmas for your kids to enjoy this classic favorite. 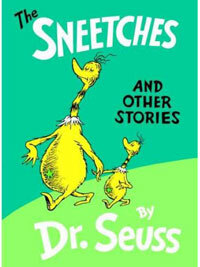 This Dr. Seuss book spawned the 1966 animated TV special of the same name, which is broadcast every year, as well as the 2000 feature film.